Today I’m back with another pumpkin recipe! 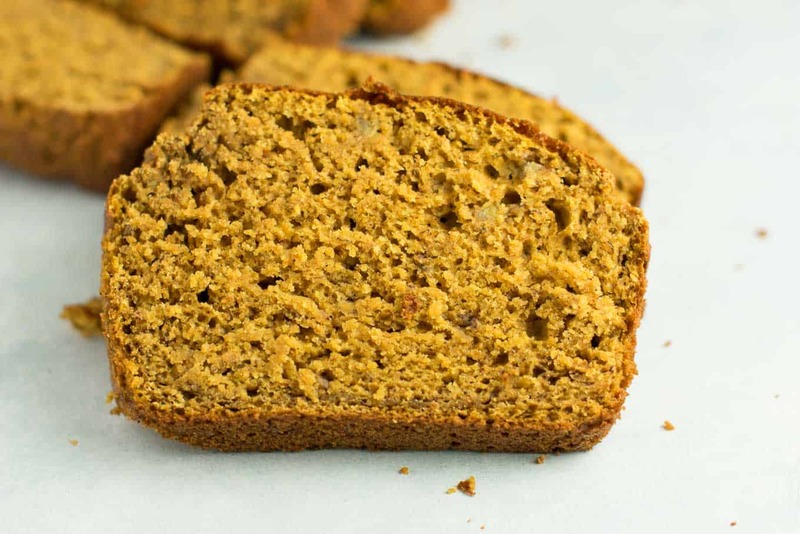 This pumpkin banana bread has all of those lovely fall flavors, but made with healthy ingredients! 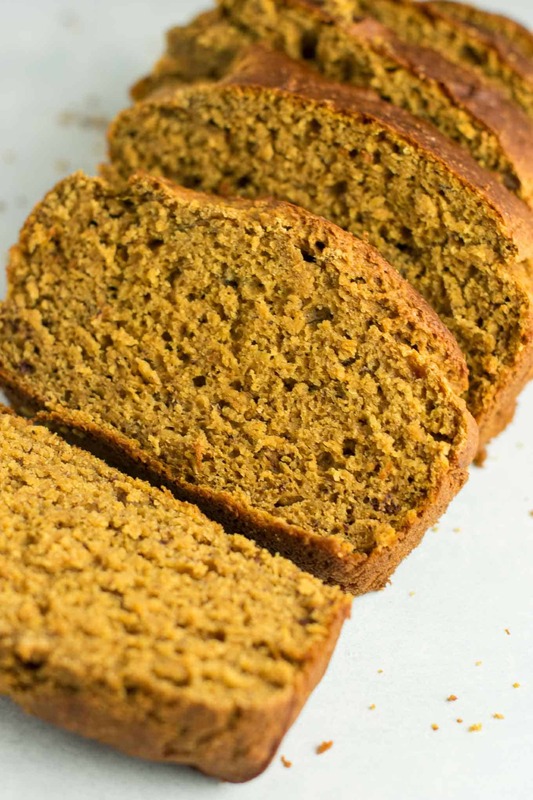 Pumpkin banana bread is great for a snack, breakfast, or even dessert. 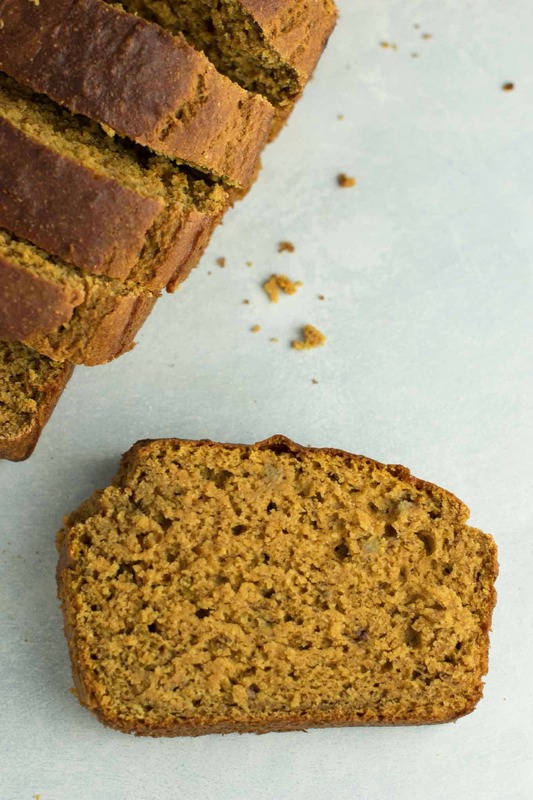 We love baking up this healthy treat every fall. Banana bread is a favorite of mine, so I decided to make a fall themed version. 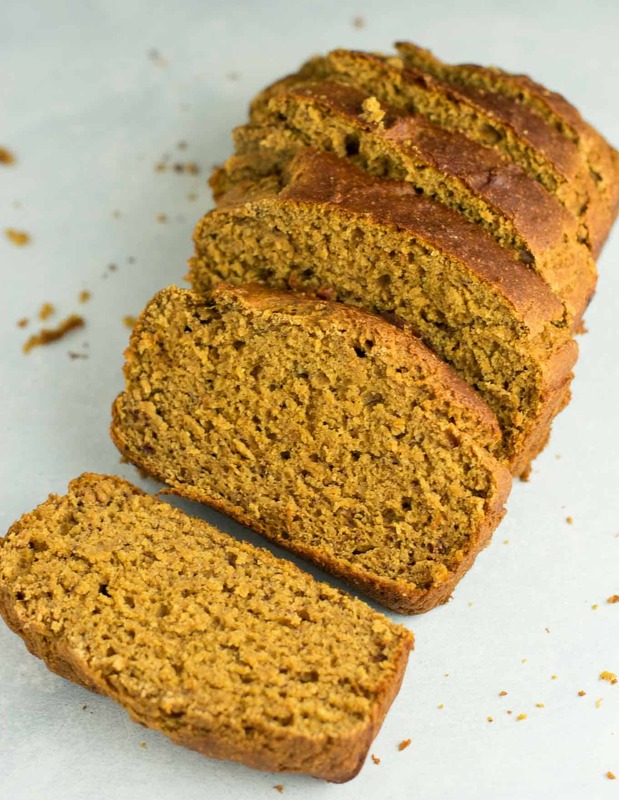 This healthy pumpkin bread is made with greek yogurt and naturally sweetened! It is made with whole wheat flour and is oil free. 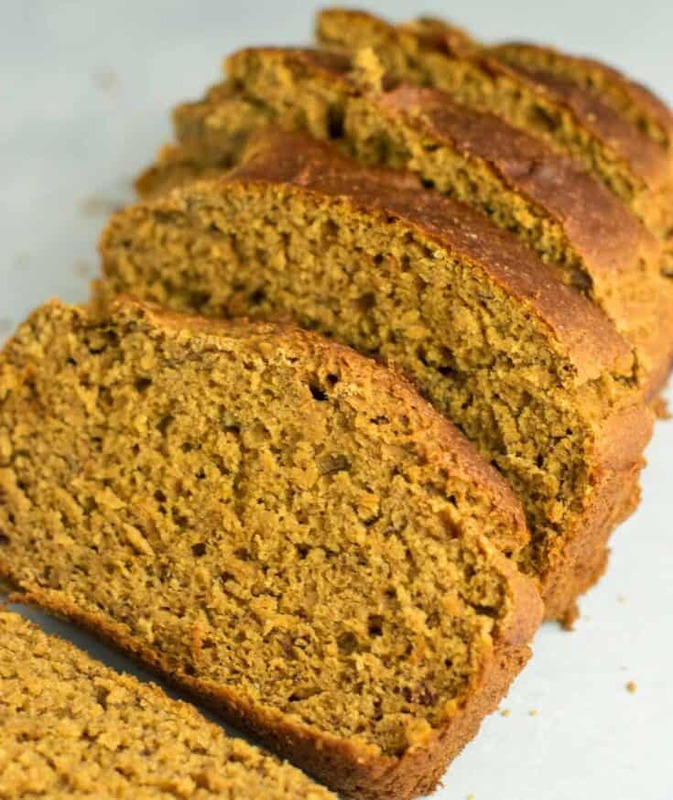 Simple, wholesome ingredients make this pumpkin bread both healthy and delicious. 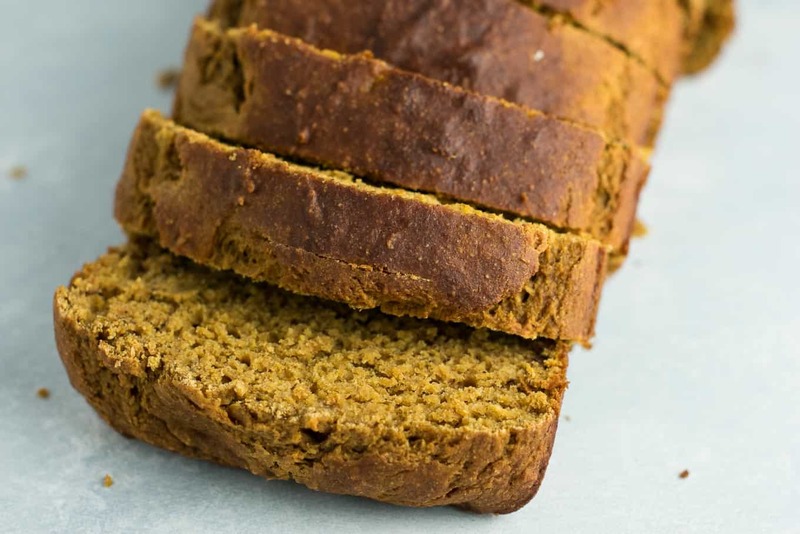 Maple syrup, greek yogurt, and canned pumpkin add the moistness to this recipe without the use of butter or oil. I love making desserts like this one as they are healthy enough to eat as a snack or for breakfast! If you have read my blog before, you know that my son Crosby can be a very picky eater. He is a little string bean that doesn’t really care to sit still long enough to eat. I gave Crosby a bite of this bread and he loved it so much he ate more than half of a big piece in one sitting. If you’re like me, you’ll love this bread served cold straight from the fridge. If you’re like my husband, you will love it warmed up with butter smeared over the top. Snacks are a weak point for me. If I don’t have a healthy snack prepped ahead I will usually just grab something packaged. Recipes like this one (or my pumpkin cream cheese swirl muffins) are perfect as a grab and go snack when I need one. This bread lasted exactly two days in our house before it was all gone! I am a self proclaimed bread lover and this one does not disappoint. There’s just something so satisfying about eating a big slice of bread, am I right? Homemade bread makes your house smell amazing! If I haven’t convinced you yet, I will add that this recipe is made in just ONE bowl. Simple, healthy, and oh so delicious. 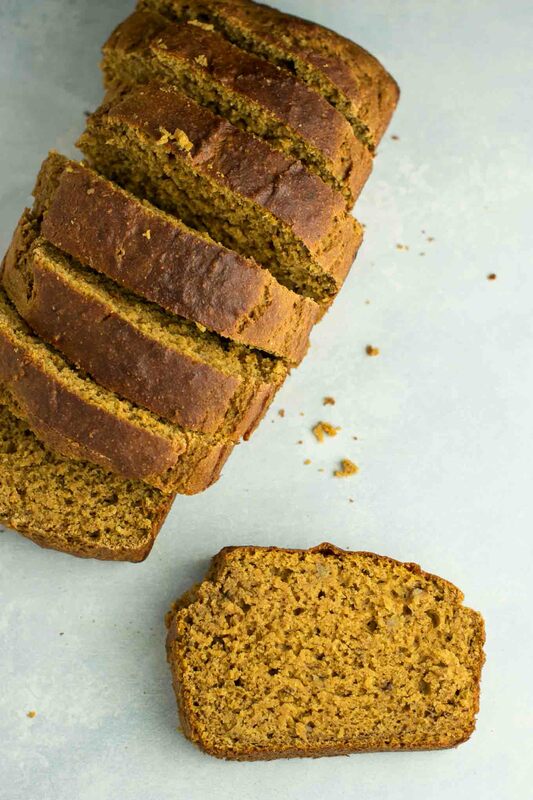 Hungry for more fun and healthy pumpkin recipes? 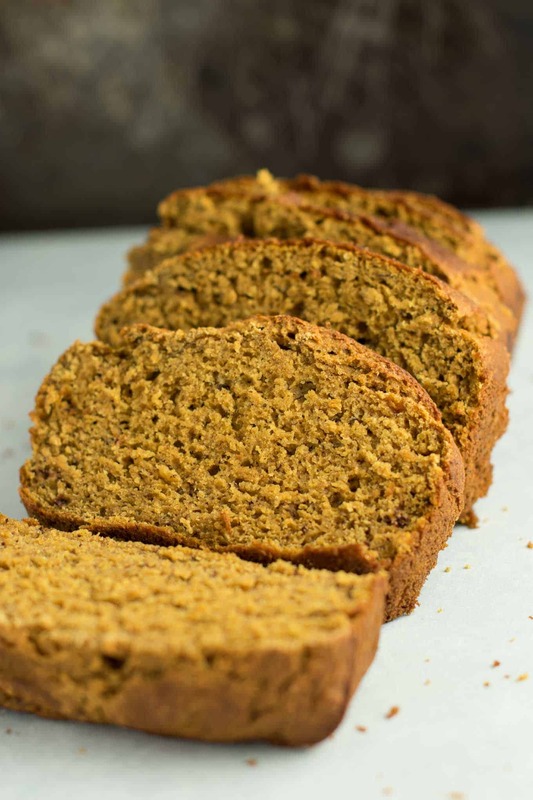 Healthy pumpkin banana bread recipe made with greek yogurt. A delicious pumpkin dessert or breakfast made without any oil or butter and naturally sweetened. Can you use whole milk plain yogurt? Can you use regular whole wheat flour. Yes, that should sub just fine! Regular flour should work great! I do not provide nutritional information for my recipes, as it will vary based on the specific brands you buy as well as the substitutions that you make. You can use a calculator like this one: http://www.myfitnesspal.com/recipe/calculator if you want the exact calories. Hope that helps! Thanks for the recipe! I am always looking for healthier snacks for the family. My 3 year old just asked for a second one! I subbed honey for the maple syrup and made muffins instead. (20 min was perfect!) I added some cloves and cardamom for fun! Great base muffin — fluffy and moist and lightly sweet. Yum! Muffins sound like a great way to use this recipe!